What Happens After You Go on ‘Shark Tank’ and Get an Offer? Editor’s note: Entrepreneur's Builders series interviews female leaders in different industries ,offering insight into what successful women do to push through feeling stuck, frustrated and noncreative as they build incredible brands and businesses. Tiffany Wojtkiewicz is chief revenue officer and a co-founder of ONEHOPE Wine, LLC. Her company, which she founded with Robert Mondavi, Jr., is a California-based seller of quality wines, coffees and other products and is set up as a social enterprise. ONEHOPE's products are designed to make a measurable impact for specific charitable cases. An example: Each case of sparkling wine funds 12 meals to children in need. Speaking with Wojtkiewicz about how she cofounded the company, and her role in creating growth, was inspiring on several levels. She shared what keeps her going, her efforts to be brave in both her personal and professional life and why she believes it's important to marry mission and profit. Companies can have both! she insists. In fact, focusing on growth and giving back is a key component to some of the most successful companies, Wojtkiewicz pointed out, and one of the secrets, she said, to ONEHOPE’s success. What have you built? What inspired you to build it? I’m one of the builders of ONEHOPE, where each of our products, mainly great wine, supports a charitable cause. A group of us were working for one of the largest wine companies stocking shelves in grocery stores and saw everything "turn pink" in October for Breast Cancer Awareness Month. The nonprofits and the brands supporting them did so well that month, but then, November 1, everything went back to normal. We knew we could build something that supported nonprofits 365 days a year. Were you born a "builder," or did you have to learn to be one? I don’t know if I was born with it, but my mom taught me from childhood to see things through and not quit. I believe that’s a key component of building anything. We started ONEHOPE in our early 20s, so I grew up career-wise building this company over the last 11 years. Who was the first woman you looked up to? Why did you want to be like her? My mom — the first woman I knew! She wasn't provided the same opportunity I was, which was attending college following high school. She was working and supporting herself at 17. Her first job was answering phones, and she worked her way up to be the first woman on the sales force. She created her own maternity leave policy with them, because they didn’t have one! What’s the greatest risk you’ve taken? Starting this company was a huge risk. I quit my job and put everything into it. It felt like a huge risk at the time, but looking back, when you’re in your early 20s, with no kids, mortgage, etc., it doesn’t seem that risky. Many of us now have families and roots in this business, so it feels just as risky — maybe just a different type of risk. When have you broken down, personally or professionally? How did you break through? We’re learning to work through growing pains of our team, nearly doubling in size very quickly, at the same time as having to do some major reinvention to some parts of the business. There are times that have been really hard in the midst of that in the last few months. The key to getting through it is in communication and trust in each other as teammates. What makes you doubt yourself? How do you manage it? The first time I do something is when I tend to have the most doubt. Even if I’ve properly researched and prepared, it’s hard to know what the outcome will be because it’s unknown territory. The only thing to do is prepare, research and test as much as possible to put myself in the best position to succeed, and then be ready to iterate. How do you know when to leave someone or something? I do my best to let go of trying to make a decision and trust my instincts. We usually know what to do, and when; sometimes it’s just about giving myself the mental and emotional space to hear that internal voice. When was your bravest moment? How do you practice being brave? I had to be the bravest when my dad was battling cancer. He had a long battle, and I wanted to be brave for him so he felt my positivity. Practicing bravery for me isn’t just about putting on the brave face when I need to. It’s giving myself the outlet and opportunity to release and feel my true feelings, too. I would say that is equally, if not more, important than the "brave face" itself. It’s just a different part of bravery. Knowing what you know now, was it worth it? It was 100 percent worth it! It still is. We still have so much growing and learning to do in this business. In general, there is a lot of change in the wine industry, which historically hasn’t changed a lot over time. Social enterprises weren’t around when we started either, and that landscape has changed as well. We are part of that change in both spaces and it’s really exciting. What can you see yourself building next? There’s still so much to do with ONEHOPE! Our direct sales community is only about 3 years old and growing fast. More than 3,000 ONEHOPE Cause Entrepreneurs are spreading the ONEHOPE message through Napa-style wine tastings across the country and making an impact in their local communities. That part of our business is still new and feels almost like something new we are building. Tiffany Wojtkiewicz started off as her company's executive vice president of sales, with the responsibility of managing the wholesale team and distribution partnerships throughout the country. She transitioned to chief revenue officer in 2014 and is responsible for all revenue generation channels, and accountable for driving optimal integration and alignment for the sales, marketing and customer support departments. She has successfully led the company, from its base line of $ 60,000 in sales in 2007, to experiencing triple digit growth for the past three years. 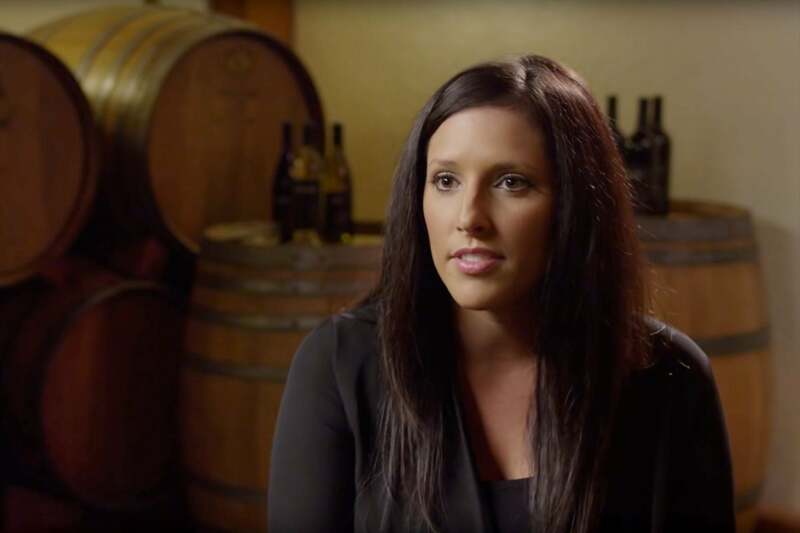 Wojtkiewicz graduated from the Eller College of Management at the University of Arizona and started her career in the wine business in the management development program at the E. & J. Gallo Winery company. She currently lives in Huntington Beach, Calif., with her husband Troy and their two children.